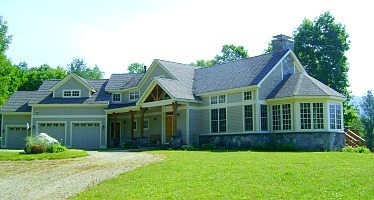 Below are newly listed luxury summer rentals in the Stratton area of Vermont. Contact William Raveis Winhall Real Estate at 802-297-1550 or online if you're interested in a particular rental property or have any questions. Time Saving Tip - Register to save your favorite Southern Vermont rentals and get notifications when similar properties become available. Perfection abounds in this custom-built 5 bedroom luxury home featuring 3.5 baths, large living room with fireplace, bar, television and amazing private mountain views. The kitchen is the perfect size for cooking and has granite counters and top of the line appliances. Enjoy dining with friends and family in the expansive dining area with big views. Master bedroom with dressing area and full bath, 2 additional bedrooms, one with two twin beds and one with a queen bed. On the upper level are two more twin beds and a video game area with a large cozy sofa. The lower level adds a bedroom with a king bed, a full bath and a den with television. The house is set privately on a large lot and it's only minutes to Stratton, Bromley, and Manchester. Listed by William Raveis Winhall Real Estate, Inc. Enjoy Vermont at its finest in this spacious custom home that features 5 bedrooms, 5 baths, large chef’s kitchen, sauna, 3 car garage and more. Both the living room and the large master bedroom have raised hearth fireplaces, and the kids can play ping pong and foosball in the huge family room. 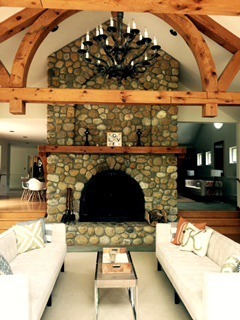 Only 10 minutes to Bromley Mountain and 15 minutes to Stratton Mountain, as well as fine dining and shopping. 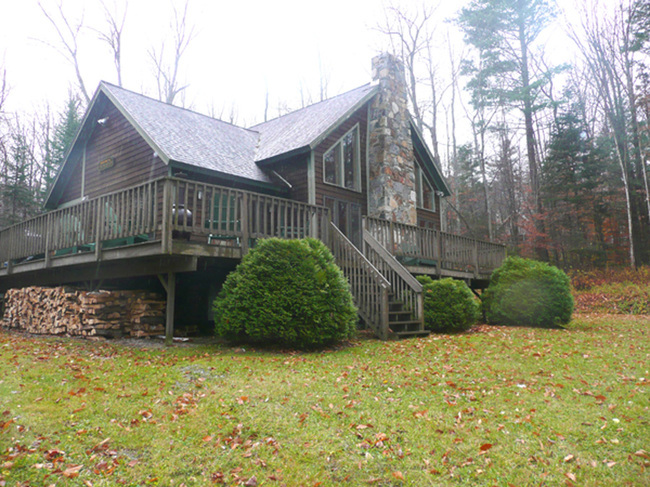 Boot room, private office area, three season porch, deck with covered grill and large dining area with mountain views. Rental rate quoted is nightly with a 15% VT tax and service fee and an exit cleaning fee. Please call or email for availability. Exquisitely decorated 8 bedroom/8 bath home in a private estate setting with astounding views. Chef's kitchen, dining room that seats 10, large comfortable family room with fireplace, 2 dens and master bedroom with spa bath, all on the first floor. Upstairs are 7 more bedrooms and 6 baths, including one king bed in a second master suite. Two separate bunk rooms for the kids and 4 more bedrooms, each individually appointed with luxury bedding and decor. Please call for more information and availability on this exceptional property. Spend your Stratton vacation in this 5 bedroom/5 bath custom home with comfortable, spacious rooms for everyone. Large open chef's kitchen with breakfast nook, living room with expansive windows to enjoy the private wooded setting while relaxing in front of the fireplace, den with large flat screen tv, dining room that seats 10 and a master bedroom with spa bath, all on the main floor. Upstairs are 2 additional bedrooms, one with a private bath and a set of bunk beds and one with two full beds. The newly renovated walk-out lower level features a full bar, pool table, lounging area and another family room with wood stove and tv. A game room with pinball machine and darts walks out to the heated walkway to the hot tub. Two additional bedrooms on the lower level makes this house perfect for a family to spread out in. This spotless home also features radiant heated wood floors, a full laundry, attached double garage, and dogs are considered on approval. It's only a ten minute drive to Stratton and 15 minutes to Bromley. 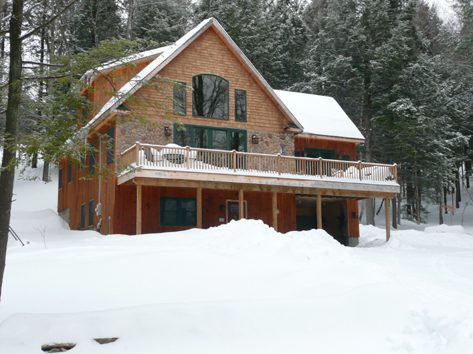 Nightly winter rate is $2,300.00 with a 4 night minimum rental. Please call for availability on this exceptional property. Exceptional luxury with fantastic views of Stratton's trails from this 4 bedroom/4 bath custom home in a private setting in High Meadow. Two master suites, open kitchen with granite counters and high-end appliances, spacious living room with 2-story fireplace, wet bar and wine refrigerator, family room with fireplace and wrap-around deck. Upstairs are two additional bedrooms and a full bath. The lower level has a game room, full bath, sauna and ski tuning room. Double garage and ski-boot entry. High Meadow has a shuttle to Stratton's base. This is a great house for entertaining! Holiday nightly rate is $2,000.00. Call for rates and availability for all other times. 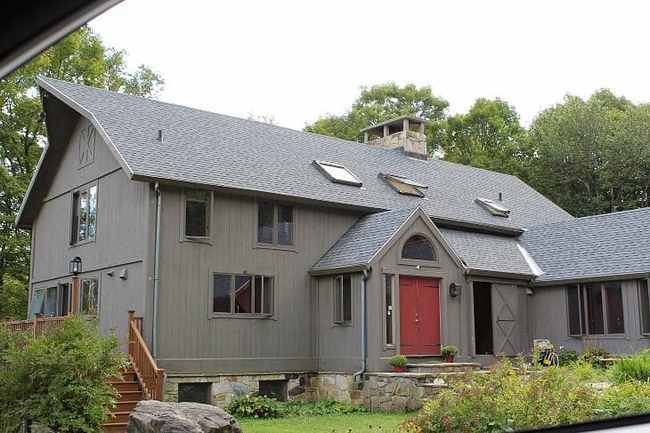 Enjoy total privacy and stunning views in this "off the grid" new contemporary mountaintop home on 200 acres in Jamaica, VT. Powered by solar panels and a generator, this home is perfect for those seeking a true getaway. Excellent for birdwatchers, nature photographers, artists, writers or anyone desiring peace and quiet. Two bedrooms plus a den with a double size futon, two full baths, open kitchen, indoor and outdoor fireplaces, dining table for 8, large bluestone patio and charcoal grill. There is no wireless internet, cable television or land line telephone. Cell service is excellent. The long driveway is graded, but a four-wheel drive vehicle is recommended to access this home. It is fully furnished with linens, towels and bedding. $1,400 per week. $2,600 per month. 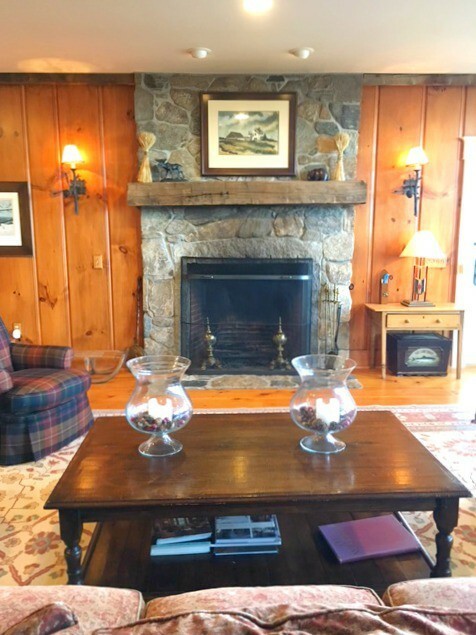 Minutes to both Stratton and Bromley, this charming Vermont home is fully equipped for a perfect vacation. 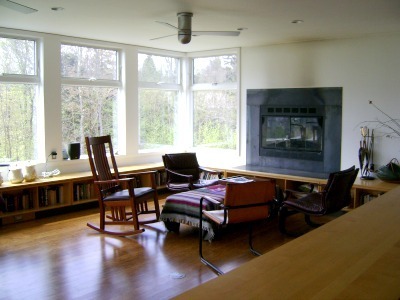 Living area with an open floor plan, comfortable furnishings, cathedral ceiling with lots of glass framing views of Stratton’s trails and a large natural stone gas fireplace. The gourmet kitchen with granite counters and island is a chef’s delight. There is custom cabinetry in each of the three bathrooms and a large hot tub room for relaxing after skiing. Upstairs is a master bedroom suite with a sitting area; the main level has two bedrooms, and the lower level has an additional bedroom, a full bath, and a family room with large flat screen TV. Just a 10 minute drive to either Stratton or Bromley. Rental rate quoted is nightly and is subject to a 15% VT tax and service fee and an exit cleaning fee. Beautiful 5 bedroom plus loft post and beam home with a stone patio, hardwood floors, and granite counters in kitchen. This fully equipped and pet-friendly home has easy access to Route 30 and is only 5 miles to Stratton. Large outdoor hot tub, 3 large flat screen TV's, pool table, high speed wireless internet. Large private landscaped grounds with a charming tiny cottage for summer evenings! 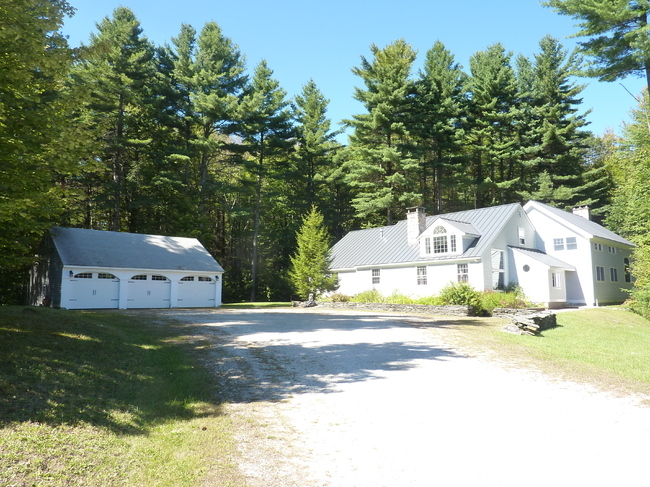 This property is close to the Jamaica State park for hiking, biking and enjoying Vermont's outdoor summer activities. Holiday nightly rate is $1,500 with a 5 night minimum. Please call for other rates and availability. Spacious ski house in a private location between Stratton and Bromley features an outdoor hot tub, 5 bedrooms, 3 baths and a large living room with fireplace. You'll enjoy mountain views from the large open kitchen and living room. The lower level has a large game room with a pool table and video games. A Stratton parking pass is included with this house. Winhall, VT15 Winhall Hollow Rd. Enjoy this beautifully decorated 4 bedroom/3 bath home that's just a minute from the Stratton Access Road. 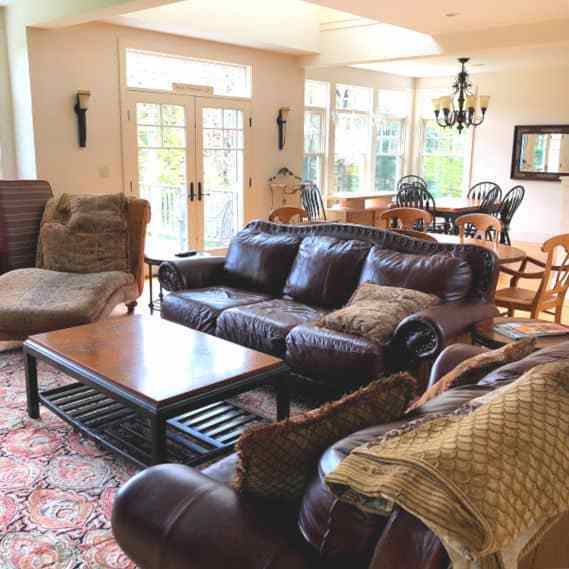 This house features cozy fireplaces, open kitchen with granite counters and breakfast bar, and a family game room. This is truly a great vacation home! Large front porch and an amazing bunk room with handcrafted trees as part of the bunks. Full laundry and mud room entry. This nightly winter rate is $1200 per night with a 4 night minimum stay during holiday weeks. Please call for availability. 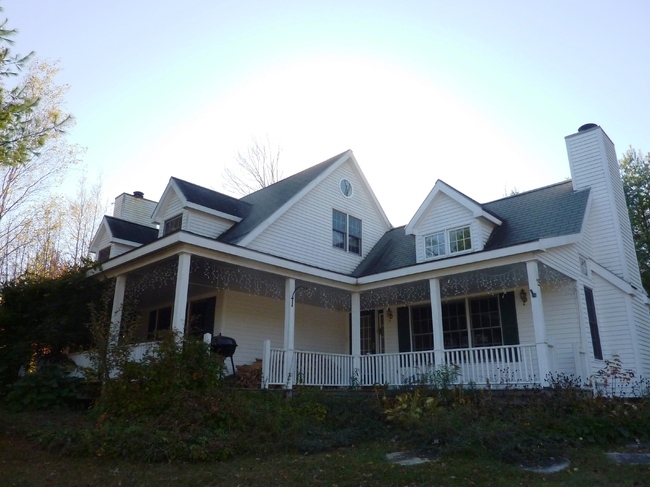 Custom 5 bedroom/3.5 bath home in the Strattonwald community offering winter shuttle service to Stratton. 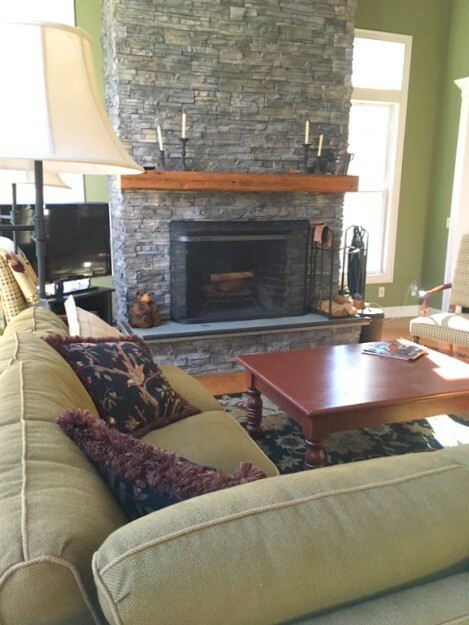 This comfortable home boasts beautiful decor, open floor plan, stone fireplace and hot tub. Strattonwald has its own outdoor tennis and paddling pond for summer guests. 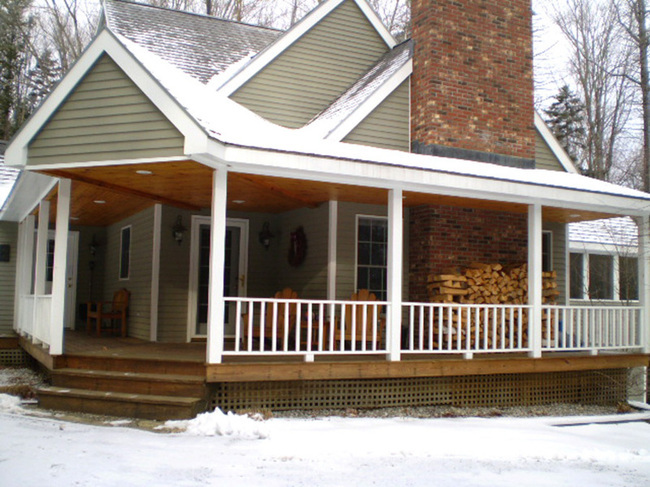 Enjoy the rocking chair front porch on summer nights and the 3 season porch as well. $1,000 per night winter rate.